When you ponder to purchase a snapback hat with high quality developing, sewing and material made use of, then you should think about the New Era hats which well-worth your hard-earned cash. New era hats have gained a big amount of credibility by providing top-notch products and without doubt to be the first choice of all. Not simply those persons who like sporting activities similar to this brand snapback hats, yet also you could discover the logo design in any kind of sort of person’s. Mountain Wilderness Italy in the forefront again: a two-day trek around the Sassolungo group organized to denounce its scandalous exclusion from the Dolomite World Heritage Site. On June 26 2009, thanks to the constant efforts of Mountain Wilderness (since 1993), UNESCO (the United Nations Educational, Scientific and Cultural Organization) registered the Dolomites as a World Heritage Site. A great success, no doubt about it. 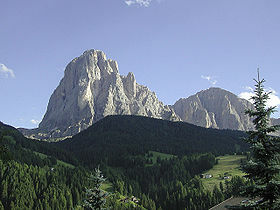 Nevertheless, some significant mountains of the Dolomites have been excluded from this important recognition. Among them, the Sassolungo and Sella groups mountains, true symbols of the Dolomites, symbols of international mountaineering, rich mountains of superb, unforgettable landscapes. Their exclusion was no oversight: private interests and plans for further developments were considered more important than the idealistic value represented by these extraordinary Dolomitic peaks. New Era snapback hats are liked by several hip-hop, Rock artists and likewise numerous other personalities. As soon as the 1st world battle, snapback hats were accepted due to the fact that they fit the new hairdo and in early 20 centuries, putting on hats ended up being more and a lot more stylish. Hats have nonetheless lost their positioning in the style location and are usually made use of only on particular occasions instead of an essential part of garments. Now that there seems to be slightly more sensitivity to environmental matters by some politicians, Mountain Wilderness is loudly demanding for this serious, short-sighted error to be rectified. It is doing so in concomitance with the ascent of the of 150 peaks organized by the Italian Alpine Club to celebrate the 150th anniversary of its founding. With this event, Mountain Wilderness is offering its sister association an emblematic 151st peak to emphasize the sharing of the same objectives by the two organizations and and to call upon its members to come out and stand-up alongside in this struggle. Currently, you are able to pick whether to wear a hat or not, and the assortment are coming to be countless. Regardless of all these New Era snapback hats has actually been able to bring in persons’ focus. In nowadays, Cheap snapback hats are used by every specific person however instead some specific celebrations. When you ask yourself to get a snapback hat with high top quality creating, sewing and fabric utilized, then you ought to think about the New Era hats which well-worth your hard-earned cash. New era hats have actually won a huge quantity of credibility by supplying top quality items and with no doubt to be the initial choice of all. As quickly as the 1st globe battle, snapback hats were accepted given that they suit the new hairstyle and in very early 20 centuries, wearing hats came to be a lot more and a lot more stylish.